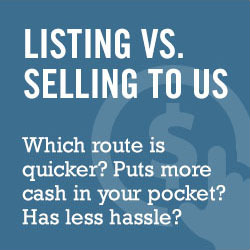 There are a lot of moving parts when selling your house. In the early stages, getting the house ready for the sale is imperative to getting the influx of interested buyers walking through. To give yourself the best shot at a fast and profitable sale, make sure you do these 3 things before selling your house in Tucson, AZ. Know that everything you do in the house is necessary outside as well. Keep porches and patios open and free from tools, toys, and unnecessary items. Take the time to clean up landscaping, trim trees and remove odd or dying plants. Power wash driveways and walkways and clean the outside window frames and glass. Do all of this to make sure you highlight your home in the best possible way before selling your house in Tucson, AZ. If you would like more information about selling your house, give us a call at (520) 433-9298 or fill out our contact form.